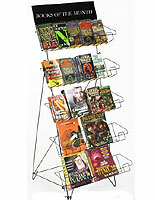 This mobile magazine stand is a double-sided literature rack that has 4 shelves on each side of the unit. 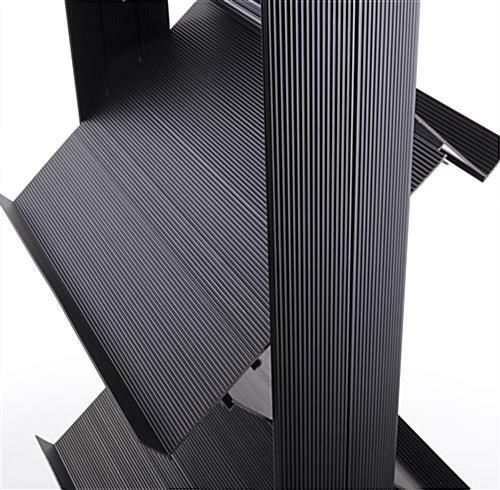 The brochure display is made of durable plastic with black coloring to correspond with many styles of décor. 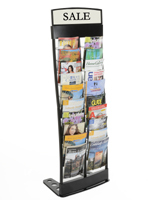 The magazine stand with adjustable shelves can move each tier to different angles for the best customer views. 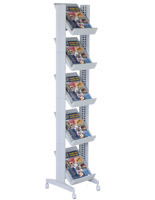 The literature rack is 30.5” wide to hold 3 periodical issues next to each other on each level. 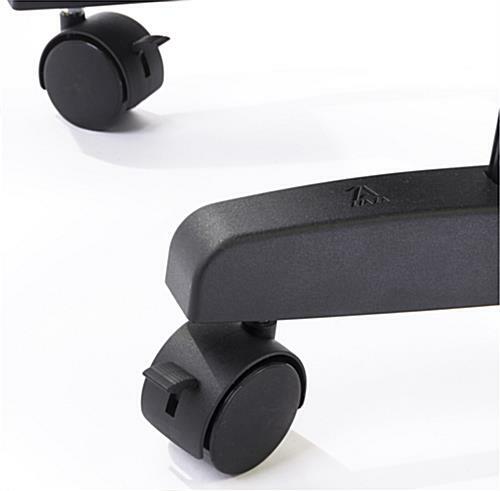 The stand comes with 4 casters that will lock in place when needed. 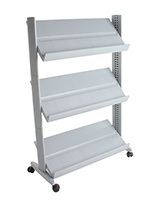 The brochure display is easy to put together and should offer no issues during assembly.